Reporting on the IMI’s annual design competition for schools in partnership with Sytner Group. The 2018 competition winners were year-nine students from Felstead School in Essex. 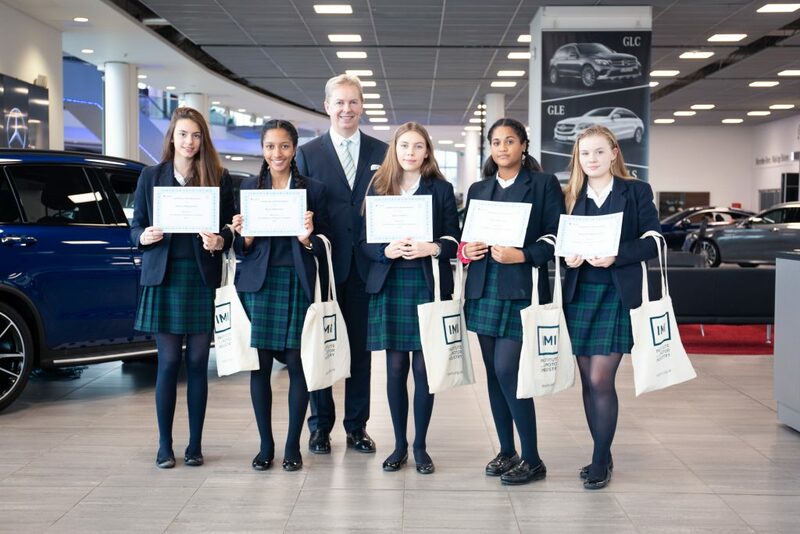 Annie, Anna, Olivia, Nyah and Alexia all wowed the judges with their car design featuring fingerprint entry, an in-car ‘Alexa’ feature, and an emergency SOS button. As a reward for their impressive efforts, the students were treated to a Mercedes Benz-World experience organised by Sytner Group. On the day, they enjoyed rides around the test tracks and were taken on a tour of the venue which included a fascinating story on the origins of Mercedes Benz. This was followed by a series of races in F1 simulators to see who could get the fastest lap. Pleasant colors & theme. Did you create this site yourself? just what the theme is named.